This was my very first logo (back in 2003!) Thanks Olivier V. for your time and skills! Obviously, some of you already know that this fairly informal phrase means, essentially, ”to disclose a secret”. A more complete definition is that the secret is usually revealed by accident or imprudently, and that "spilling the beans" often ruins some surprise or other plan. 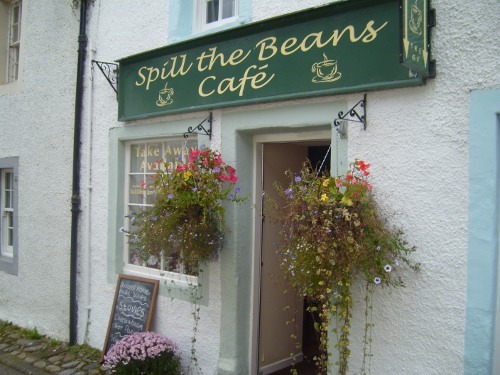 "Spill" is the core term here, with "beans" a kind of filler; much as it is in the similar phrase spill it. "Spill" came into Old English as spillan, "to kill". Middle English spillen continued this theme of slaughter and destruction: "to kill, destroy, shed (blood)". The theme survives today in the retained phrase "spill blood", meaning "to kill or wound". The term gradually ameliorated as, between the 10th and the 18th centuries, it came to mean "to ruin something, ruin the soul of someone, injure morally, or waste something, like time or effort". The present sense of causing something to fall from or pour out of a container still connotes wasting or ruining the contents.I have also found a 1574 quote for spill it meaning "to divulge, to let out". The spilling of beans endures. Over the years, there have been countless variations of form and meaning, all with "spill". You can "spill the works / the soup / everything / what you know and your guts". Or you can just plain spill. 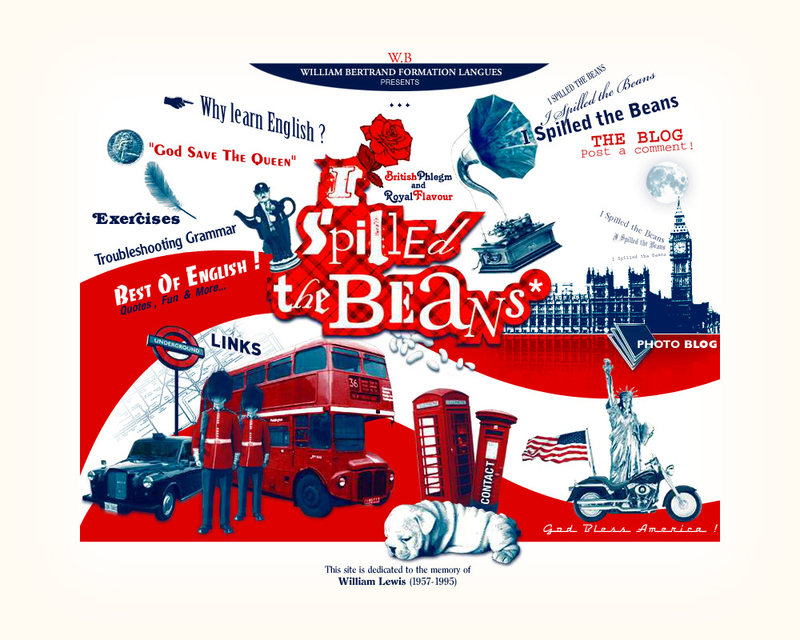 So now everything is clear for "TO SPILL" but we still don't know anything about "BEANS". The new logo (back in 2005!). Thanks Romain J. for your patience and talent! A popular folk etymology for "to spill the beans" claims that in ancient Greece, applicants for membership in secret societies were voted upon by having the existing members drop beans into a pottery jar. Those who approved of the potential new member would signal an affirmative vote by adding a white bean to the jar. A black bean indicated a negative vote. The story goes that on occasion, when the jar was accidentally knocked over, the beans poured out and the vote was revealed prematurely. Somebody had "spilled the beans". It's an engaging tale, and beans were in fact once used as ballots. So as you can see, not much is certain about the origin but it surely is a very interesting idiom. And I’ve always been fond of this phrase. And now here we are with a WEBSITE that has been alive and kicking for almost 15 years now. I SPILLED THE BEANS !